‘What is the difference between 1st and 2nd fix nailers?’ is a question commonly pitched to us. Thankfully, we can answer that for you. 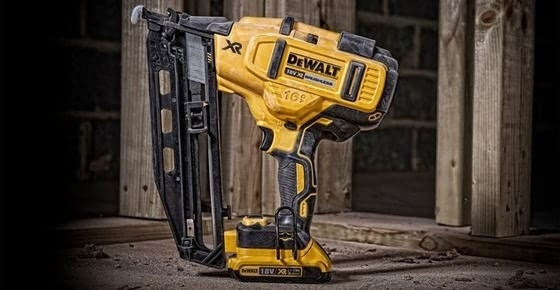 Not only that, but in using our Dewalt nailers as an example we can do so while checking out the features of both types. The nailers we will be looking at in depth here are the DCN692 (1st fix) and DCN660 (2nd fix). Firstly, the main differences between them. The DCN692 is designed for tasks such as joinery, roofing, fencing, flooring, studwork and wood framing among other 1st fix applications. You will find this most effective when working outdoors on areas that aren’t likely to be on show once a job is finished. Don’t be concerned, therefore, if your DCN692 leaves debris in its wake; its large nails are primed to do exactly that. Meanwhile, the DCN660 is primarily for completing ‘softer’ jobs. These include door frames, coving, architraves, skirting boards, household mouldings and general woodwork finishing. The use of smaller nails ensures damage to the work area is reduced. In addition to that, with 2nd fix nailers you can also decide whether to use straight or angled nails. The latter are more popular as they are better equipped to navigate hard to reach areas. 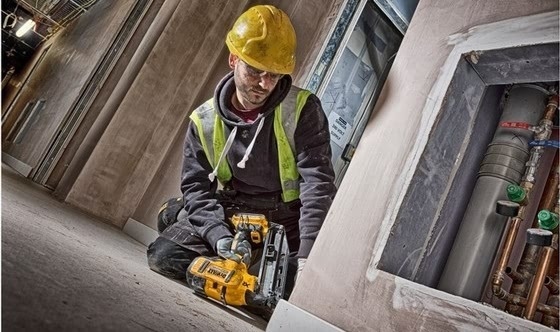 Additionally, the ability to operate or two speeds/power levels optimizes the nailer for firing all lengths of nails, while its dry fire lockout function ensures that the tool is protected from firing without nails in the magazine. Furthermore, its brushless motor offers power and runtime that cannot be beaten in a compact package. Its sequential mode allows for precision placement and the bump operating mode provides the user with production speed of up to 4 nails per second. In conclusion, both aforementioned Dewalt nailers offer the cutting edge in nailing technology. This is showcased in their overall performance. Having them in your kit means you’re covered for a whole host of nailing jobs – from framing (1st fix) to finishing (2nd fix). Moreover, both products are available in their body only versions or with batteries and heavy duty boxes supplied. Indeed, take a look at them in our Dewalt nailers category. 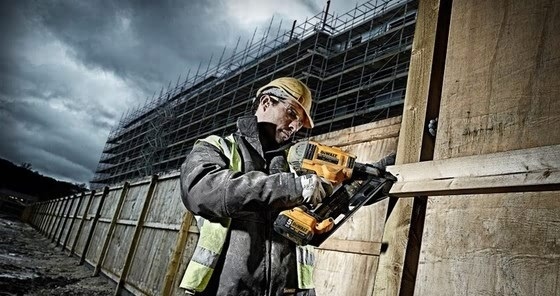 Alternatively, order the 1st fix nailer here or 2nd fix nailer here before 17.30 for next working day delivery.